#NewZealand #Turkey: Well, I’m going to leave my Warning as Pinned. The perpetrator’s repeated visits & extended stay in #Turkey, the warnings in the supposed #manifesto & #Israel #AEI’s piece, the coming tense elections here ... “Heightened Alert” Should Be Blinking Red Here. #NewZealand attacker #Tarrant stayed in #Turkey for 43 DAYS in 2016. (Two separate visits. One between March 17-20. Then September 13-October 25). Before the Attempted #Coup and right after. Why?How was it financed? What was he doing in #Turkey during this extended stay?! #NewZealand ... Cont: Because, think about it. In the macro view, it is not only some nutcase lone Terrorist; it is the “Ultra Nationalist Radical Right Wing Terrorist.” With that, “Right” and “Nationalist”, both as a pair & individually, gets paired up/qualified as “Terrorist”. #NewZealand: ... Cont: Do I make sense? With #9/11 they paired up “Islam” “Muslims” & “Arab” With “Terrorism”. Withthe latest incidents, the #DeepState, through its PR arm #MSM, is doing exactly that: Pairing “Right Wing, Nationalism” With “Terrorism”. #NewZealand: And I said “Incidents” as in plural, because this been happening with other cases as well. 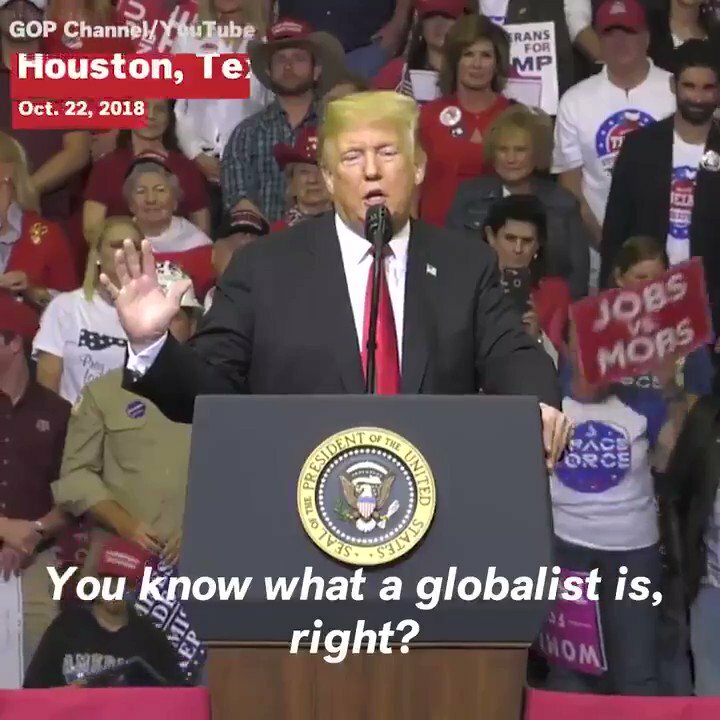 What will come next: New Lists Of sites/outlets/channels to be flagged down & banned; New “No Fly” lists; and new sets of regulations for Crypto sources..
#NewZealand - After analyzing all related data, Considering the perpetrators’ travel history & cryptic references in the So-Called manifesto: I believe there are other coordinated cells with plans. Right now I’m focusing on #Turkey because of all other variables points this way. #NewZealand: Of Course, judging from the #manifesto & slogans the #Terrorist clearly exhibited severe obsession with #Turkey and Pres. #Erdogan. A very strange coincidence considering the #timing and the latest #geopolitical developments on #Turkey related matters. #Türkiye: #Rubin’in #AEI ile gönderdiği mesaj, #YeniZalanda Terörist’in manifesto mesajları Ve onun #Türkiye’ye geliş ve uzun kalış süresi, #Gülen’in en son gönderdiği tehdit ... : Genel olarak “Fear Mongering” uyarı atmam ama: Acilen Emniyet Seviyesi Şu Dönem için YÜKSELTİLMELİ! #NewZealand: This is NOT a #Mathematical Case. Two Negatives Don’t Turn it Positive. Whether Pairing #Islam With #Terrorism or #Christianity with Terrorism: Equally WRONG. Equally Repugnant. If you fall 4 this trap, then the #DeepState #GladioOp Has won. Just Say “NO”! Do it Now! #NewZealand: I’m sick and tired of #MSM and Blogospheres junkies exploiting disasters. Using them for entertainment. Seeing these events as a salvation for their meaningless boredom-filled existence/life- For a few weeks, then search for hunting for the next scandal/disaster. #NewZealand: I have Two Back-To-Back Breaking News Story From #Turkey Later This Evening. Stay Tuned. #NewZealand- Coming Up Shortly-Exclusive-Breaking News (Never-Reported Before): Alleged Suspect #Tarrant #Turkey #GladioB #Israel & Tempering with a Key Evidence. @sibeledmonds Reporting on the Grounds from #Turkey. Pls Stay Tuned. #NewZealand: How Many Followers Of This Terrorist Cell Are In #Australia, #Europe? How did the #ChristChurch Terrorist Finance All his Travels? Was His Trips To #Turkey Right Before the Attempted #Coup A Coincidence? Why the Obsession with #Erdogan & #Trump & #Turkey? #NewZealand: Christ Church attacker travelled to #Turkey “Multiple” Times. Not only that: He spent an “Extended” period of time in #Turkey (based on reports from an “unnamed” Senior Turkish official). #NewZealand: Still waiting for “named” sources and further confirmation. #NewZealand "Trump is a symbol of renewed white identity & common purpose"
“I’ve always thought if more good people had concealed carry permits, then we could end those Muslims before they walked in"
Trump proclaiming he's a "Nationalist" to an audience that understands the real meaning. Luciana Berger cited #Labour becoming "institutionally #AntiSemitic" as a key reason for quitting the party. Starting at the very top with @JeremyCorbyn. He infamously referred to #Hamas and #Hezbollah as "friends". Both organisations call for the extermination of #Israel, and regularly carry out attacks against #Jews. They're also both officially classified as #terrorist groups. 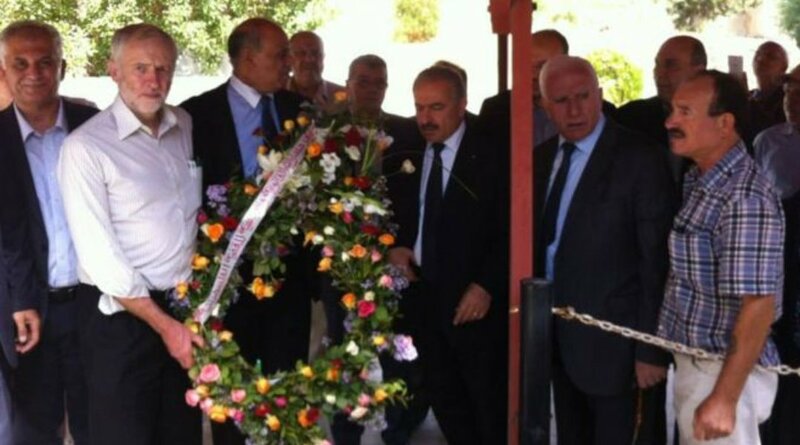 Perhaps the most well-known incident is #Corbyn's attendance at a wreath-laying ceremony in Tunisia in 2014, which honoured the terrorists who murdered 11 #Israeli athletes at the 1972 Munich Olympics. 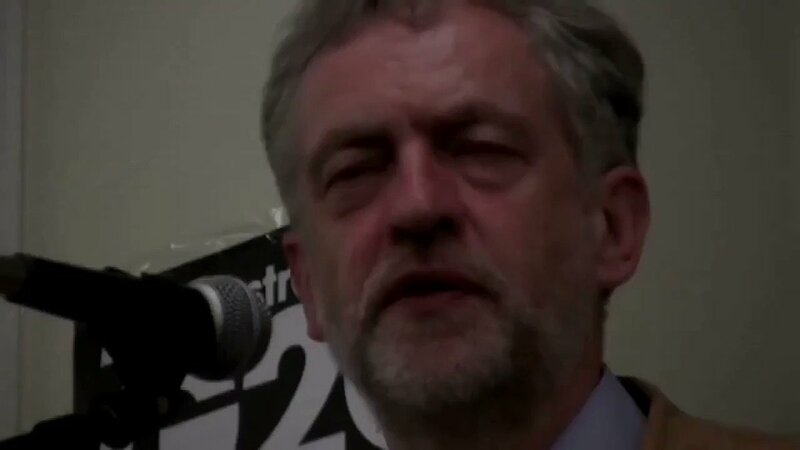 Mr Corbyn claimed to be "present but not involved". 1/ The #Saudi kidnapping of #Khashoggi reminds me of the kidnapping of #Hariri. It is meant to embarrass the other party, this time the gov of #Turkey, and provoke a diplomatic crisis. This is drug Cartel methods. It has no other goal than to assert power over the other. 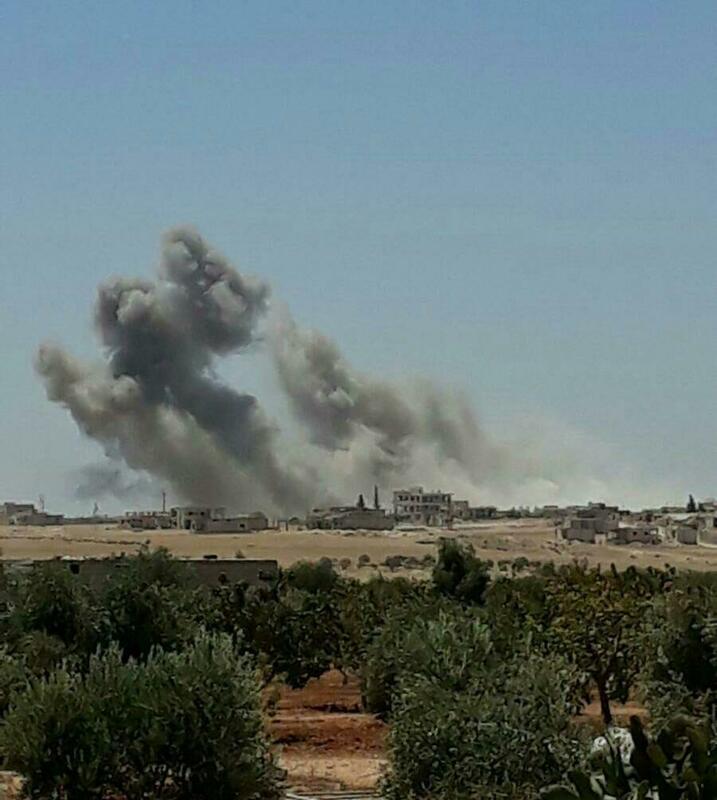 Preparations appear to be underway for a pro-#Assad offensive on #Idlib. 12hrs of on/off air & artillery strikes vs. southeastern & western #Idlib & northern #Hama - see marks on map (original by @ETANA_Syria + my additions). 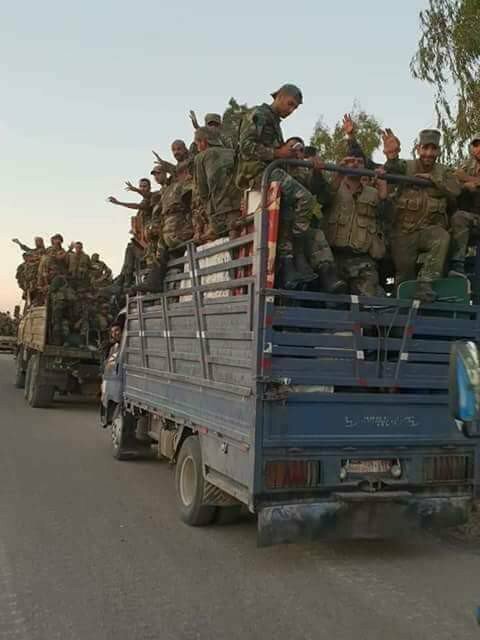 + multiple large pro-regime convoys moving north. -> a gradual push ‘inland’ & north. 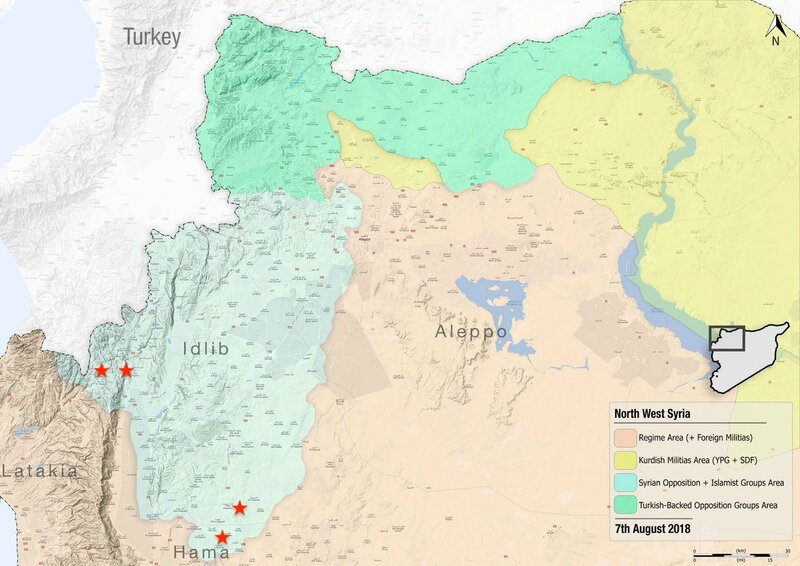 - The West must “re-assert” itself & protect civilians in NW #Syria & as a backstop, safe-routes should be opened for civilians to flee into #Turkey. 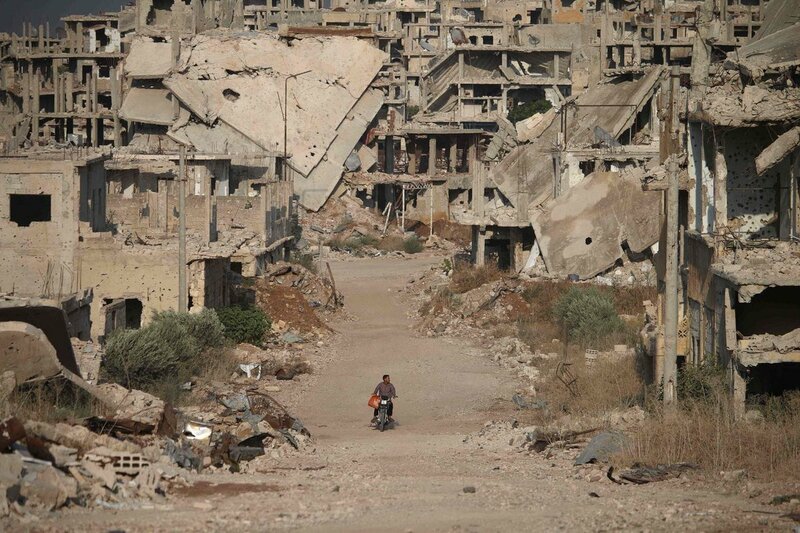 - UNSC must demand full access to S #Syria; for aid, monitoring etc. #Turkey should heed Pompeo and release Andrew Brunson. It's wrong; the case has been hopelessly tainted with politics. It's also self-defeating. Holding him hits on a raw nerve in the U.S. and makes achieving Ankara's own objectives more difficult. Turkey's suggestion that Andrew Brunson is being held as a hostage to be traded for Fethullah Gulen has exacerbated what was already a politicized prosecution. It was an aggressively stupid thing to do: inter alia, strikes at a part of American politics that Trump cannot ignore.